Meadows is acclaimed architect John Fought’s creation, featuring tremendous variety within its 18 holes, seven of which border the meandering Deschutes River. It is open to the public and offers a discount to Deschutes County residents. 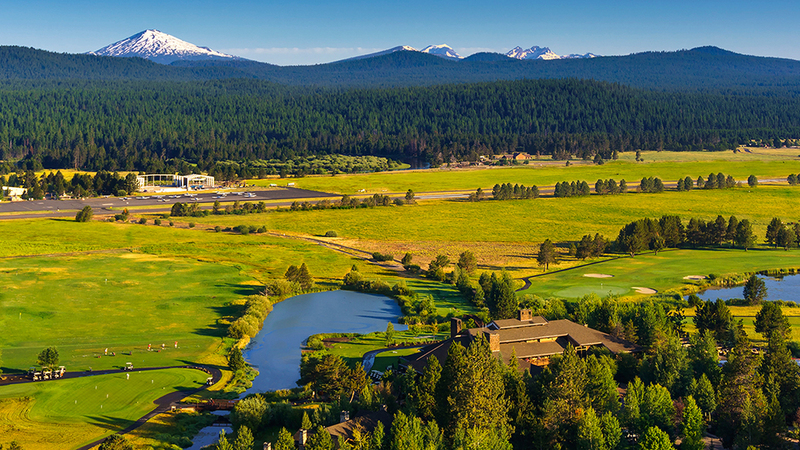 One of the four golf courses at Sunriver Resort community, Fought’s design pays tribute to the great American golf courses from the 1920’s and 30’s with its aesthetic grace, while its dramatic use of directional and fore-bunkers serve up ample challenges for golfers of all skill levels. With five sets of tees, the 7,012-yard, par-71 course is playable by all levels and surrounded by mountain scenery, marshes and features excellent playing conditions. The Meadows golf course has played host to numerous USGA and NCAA golf championships, including the NCAA Men’s Division I championship tournament. In addition to 18 exciting holes, Meadows is also home to the popular 9-hole putting course next to the resort’s main lodge. Meadows was named one of the Top 10 Destinations for Family by Golf Digest in January 2016.